The statistics are startling: Cell phone theft is on the rise across the country. In Los Angeles, cell phone thefts are up 27% year-over-year, and New York City’s crime rate rose last year due entirely to a rise in stolen phones. But nowhere is the problem worse than in San Francisco. Nearly half of all robberies in the city involve cell phones, with daring thieves grabbing devices straight from owners’ hands. Though San Francisco may be leading the nation in cell phone crime, it’s also leading the nation in combating it. San Francisco District Attorney George Gascón is asking major smartphone manufacturers Apple and Google to combat the growing problem with a beautifully simple suggestion: Give all phones a remote-activated kill switch. 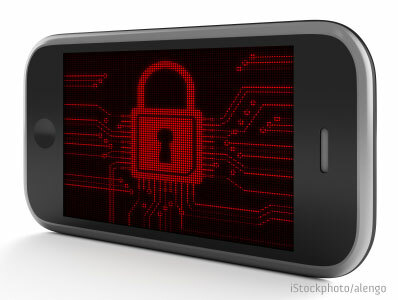 With a kill switch, a stolen phone would be permanently bricked – that is, made useless. The idea is that if every phone has a kill switch, stolen phones will be deactivated and useless to their new owners. And if a phone has no resale value to a thief, it’s far less likely to be stolen. In 2012, the Federal Communications Commission (FCC) created a wireless phone database to help cut down on crime. When a phone listed in the database is stolen, police can use the unique identification number on the device to track it down and keep it from being re-activated. Unfortunately, the database has only limited effectiveness as stolen phones frequently wind up for sale in foreign countries, and criminals have easy ways of altering your phone’s ID number. So far, the idea is meeting a cool reception from Silicon Valley’s giants. After all, stolen phones don’t just make thieves rich – it makes cellphone manufacturers wealthy as well. According to mobile security firm Lookout, stolen and lost cell phones accounted for an estimated $30 billion in cell phone sales in 2012. Of course, even without a kill switch, you have tools at your disposal to combat cell phone theft before it happens. Third-party apps can help locate your phone and even take pictures of phone thieves after the fact. And remember to put a lock on your phone – you don’t want a thief making international calls on your dime. I was a victim of a stolen phone scenario twice now. The first time it was stolen, I searched online how to trace my phone, and realized that manufactures have left it up to the app developers to make anti theft systems. So the first thing I did when i got my new phone was install this android app called SwanSong. Sure enough, it worked like a charm. I think getting your phone stolen is like dropping your phone and cracking the screen, it takes only once to learn the lesson that buying a case / installing SwanSong (or similar apps) is the first thing to do. i too have been victim of phone lost, i found this site which atleast gave me some hope.